Sophia wants to be an astronaut more than anything else in the world, the only problem is she's terrible at maths. "The start of the universe. You wanna know how it all began? Things get pretty weird. Pretty far out. Do you think you can handle it? Have you got what it takes?" A playful blend of autobiography, creative nonfiction and comedy, 'Gravity Guts' is the story of a girl who just wants to break free from her father's orbit, but first needs to build up the guts. This joyful, moving and far-out one woman show will take you on a journey into the inner working of the human experience, while exploring the outer workings of the universe. Written and performed by Sophia Simmons (Limit, State Theatre SA Umbrella 2019) and directed by Milly Cooper. 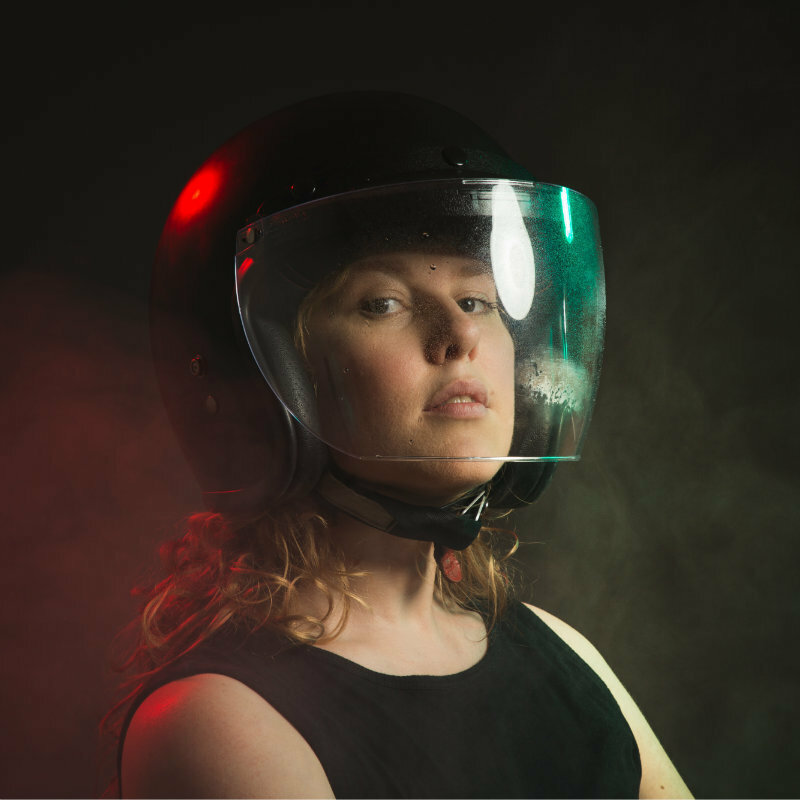 Wielding Theatre is a Melbourne-based company with a focus on inclusive theatre-making processes, established in 2016 by director Milly Cooper. Dedicated to creating works that are relevant to contemporary audiences, the company often twists politics with physical humour and harsh reality with otherworldly possibilities. Wielding Theatre has a strong emphasis on collaboration within the working process when devising and has worked jointly with DJ’s, spoken word poets, visual artists and fashion designers. Historically the company has had a focus on devising new works; Freefall (Melbourne Fringe 2018), Inside (Monash University & Undercover Artist Festival 2017), PC Couture (Melbourne Fringe 2017), FACESWAP; a love story in 87 haikus (Melbourne Fringe 2016).